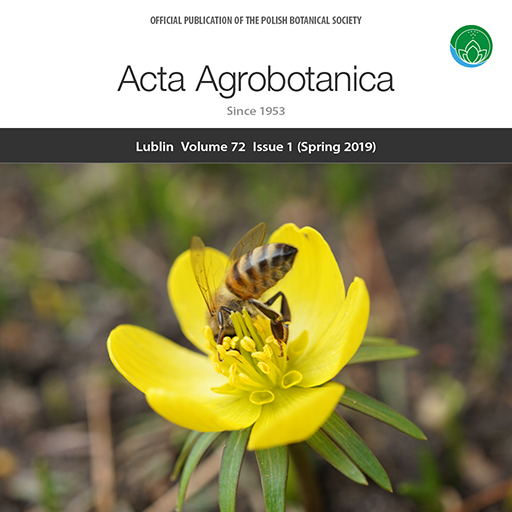 The international journal Acta Agrobotanica is published by the Polish Botanical Society, with financial assistance of the Polish Ministry of Science and Higher Education. The journal promotes all aspects of the biology of cultivable or wild plants accompanying crops since 1953. The journal offers Open Access publication of original research papers, short communications, and reviews dedicated to flora and phytocenoses of anthropogenically transformed areas, bee pastures, nectariferous and polleniferous taxa, plant–pollinator relationships, urban and rural habitats for entomofauna, aerobiology, cultivated plants, plant pathogens and parasites. The list of scientists who have served as reviewers for the Acta Agrobotanica journal in the year 2018. The editors express their great appreciation of all reviewers competence, dedication, and hard work. Starting from the year 2016, the Acta Agrobotanica journal will be only available as an online edition. Therefore, the page numbers will be no longer used for citation purposes. Every article will contain citation schema with the unique article number included, which replaces pagination. In the following example the article number is 1063: Acta Agrobot. 2015;85(1):1063. Additionally, the article number will be the last part of the updated DOI pattern, e.g., the following DOI is assigned to the article number 1061: 10.5586/aa.1061. Updated author guideline has been published. Authors should already prepare submissions according to this guideline. Dear Readers. We continue to provide subsequent archival issues of Acta Agrobotanica journal. The digitization of archival issues is conducted with the support of the Polish Ministry of Science and Higher Education. On the cover Eranthis hyemalis (L.) Salisb. (winter aconite) is an early spring geophyte. The plant is attractive to honeybees due to the large quantity of produced nectar and pollen. The flowers have small cup-like nectaries derived from modified petals.